"I can hardly afford donating money or materials. Can I offer personal services?" Chinese bone-setting practitioner and former Sergeant Wong Kwai-on asked when he feared that the fatigue of the officers engaged in Operation SOLARPEAK might take its toll - inducing sore back or waist. As a form of solid support and concern for the officers, Mr Wong started heading for the 12th floor lobby at Police Headquarters on October 29 and offered free treatment to officers from Monday to Friday. "Officers can hardly get adequate rest after work, not to mention seeking treatment from Chinese bone-setting practitioners. Therefore, I come here so that they would get treatment as soon as possible." He treated as many as around 80 officers on the first three days of his voluntary service. Mr Wong pointed out that most of the officers sustained injuries to the back and waist, probably the outcome of working long hours and wearing heavy accoutrements. Apart from treating the injuries, he also tried to ascertain whether other parts of the body required treatment. If necessary, he also offered advice on exercising therapy at home. Formerly working in Weapon Training Division, Mr Wong started learning Chinese martial art and Chinese bone-setting at the age of 11. He started practising with his master at the age of 15. 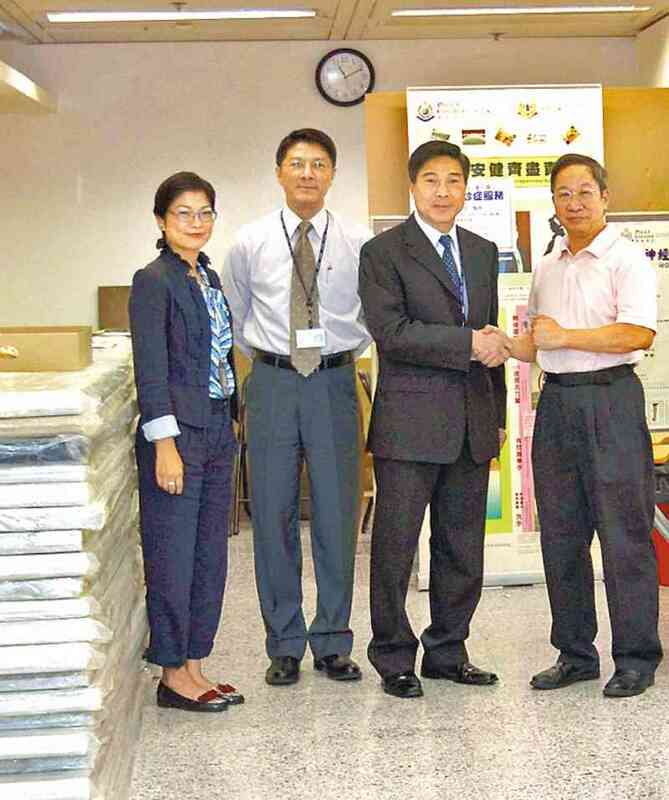 After his retirement four years ago, he set up his own Chinese bone-setting clinic. Recalling his services to officers, Mr Wong said the case of a Sergeant left a deep memory on him. "He came to see me early in the morning immediately after finishing a night shift. He is a single dad with two kids, the elder one being just eight years old. After work, he rushed home to take care of his kids and hardly had time to see a doctor. This was a big problem for him. I am glad that I have helped him resume his normal good shape as soon as possible so that he can look after his family and work." Speaking of how to maintain physical fitness while coping with a heavy workload, Mr Wong reminded officers to maintain a good posture and keep the back and waist upright like the posture of the Chinese Tai Chi martial art. "In other words, keep the head and neck straight, eyes horizontal and chin down," he explained. Another method is to soak the feet in hot water before taking a rest or going to bed, but keep the toes above the water in order to "expel" toxic materials from the body and induce sound sleep. "I hope this method would help officers get a good sleep and resume physical fitness within limited rest time." Mr Wong will continue to offer services from 10am to 1pm from Monday to Wednesday and on Friday, as well as from 11am to 1 pm on Thursday until the end of the operation.